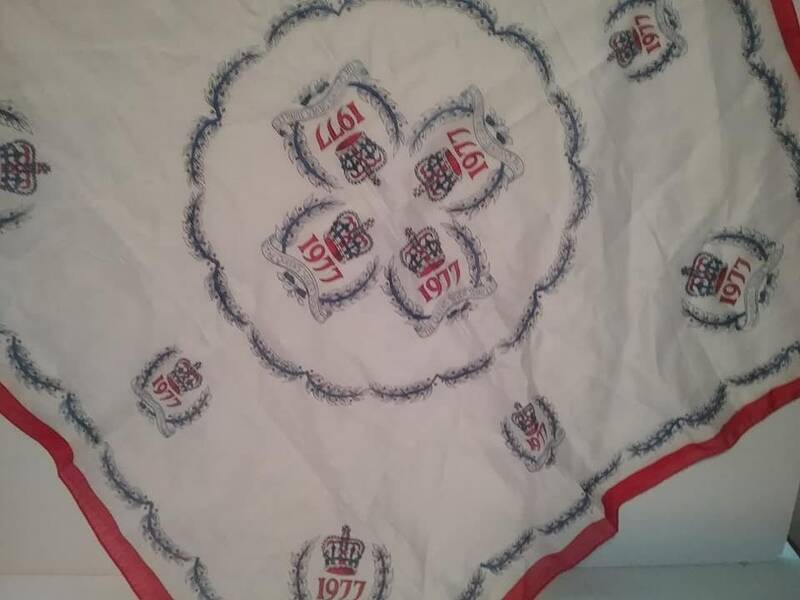 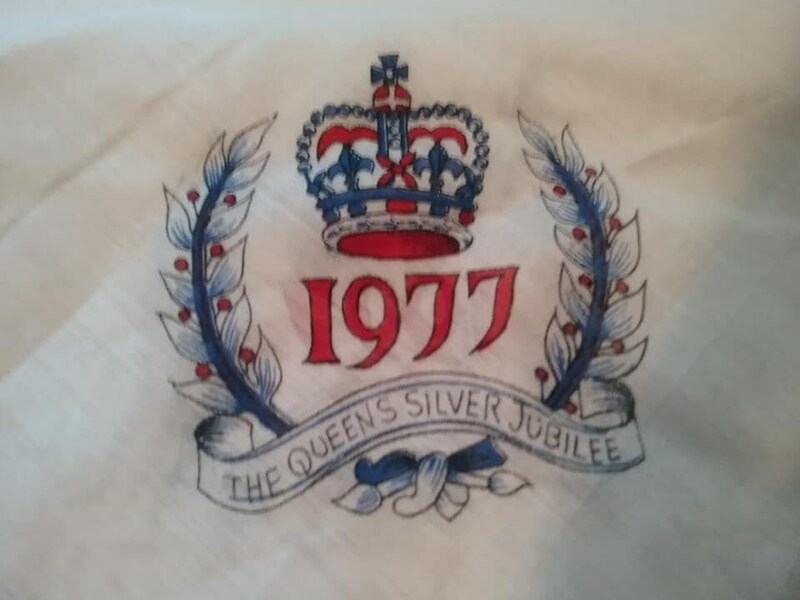 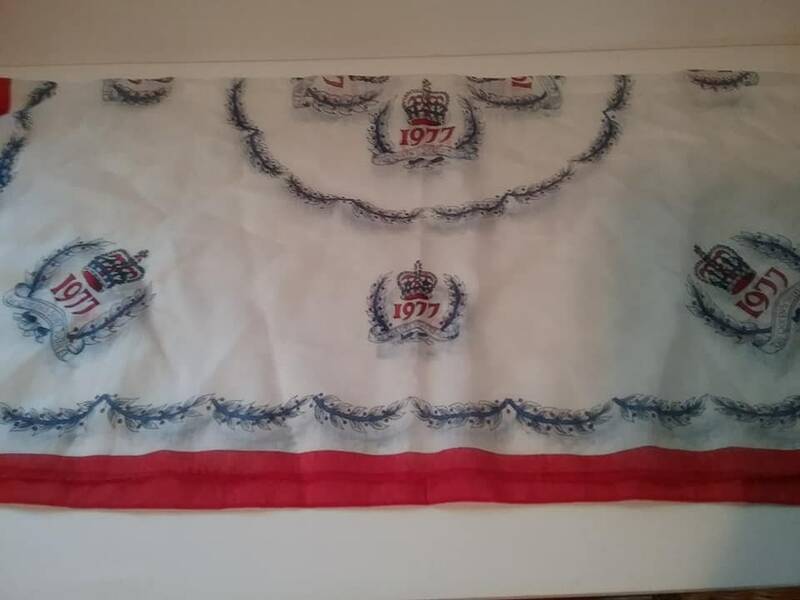 Vintage Queen Elizabeth II, commemorative scarf of her 1977 Silver Jubilee. 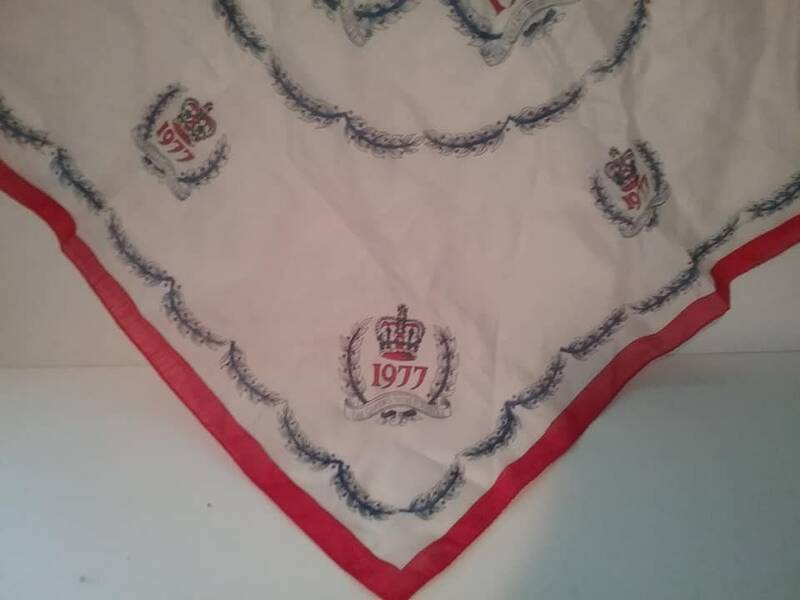 It is in excellent vintage condition, with one minor mark on tag only. 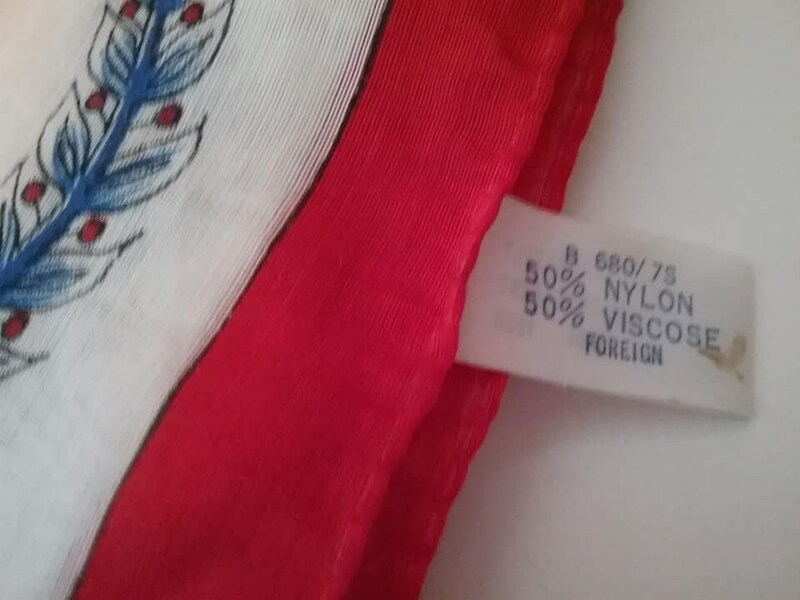 It is a nylon mix, and the colors, red, blue and white are striking. 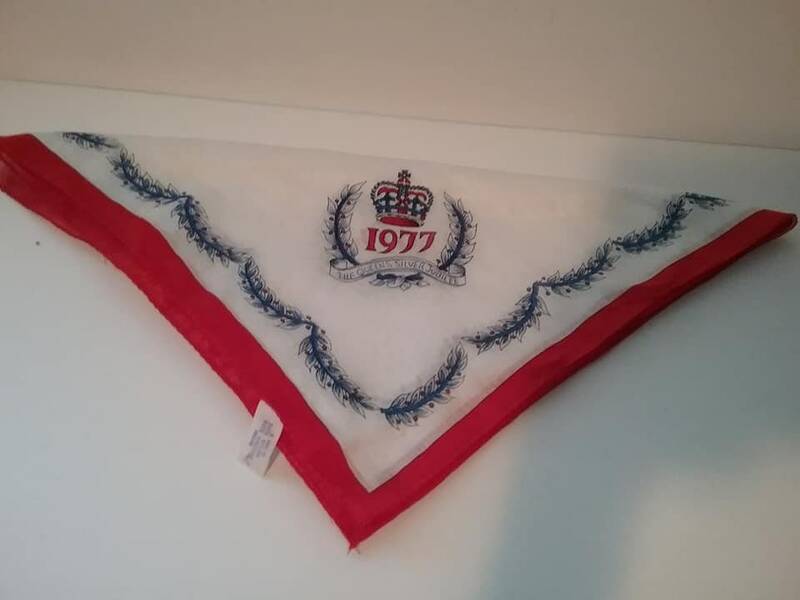 Own a piece of British history.